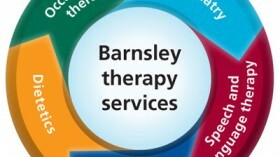 Barnsley therapy services of South West Yorkshire Partnership NHS Foundation Trust required some videos to highlight the services that provide and inform the public and our commissioners as to what they can do for them. Geoff you did an excellent job in producing exactly what we required. Being involved from the planning process through to final completion, your professionalism was paramount and your guidance and suggestions invaluable. It could be a daunting experience for both staff and patients being interviewed on film, however Geoff’s professional manner, his journalistic background that enabled him to ask the right questions, along with his pleasant nature and sense of humour got the best out of everyone and produced the results we desired. I had so many comments made to me as to how good Geoff was at making them feel at ease. Geoff used his skills to film in a variety of locations and in some difficult surroundings – usually at his suggestion, which turned out to be right. The underwater shots were great, adding an extra dimension to the overall result. The final result was better than expected, the editing, background music and graphics were spot on, obviously a man who knows what he’s doing. It was a pleasure working with Geoff and would have no hesitation in using his services again. To see the videos on Barnsley Therapy Service’s website click here.